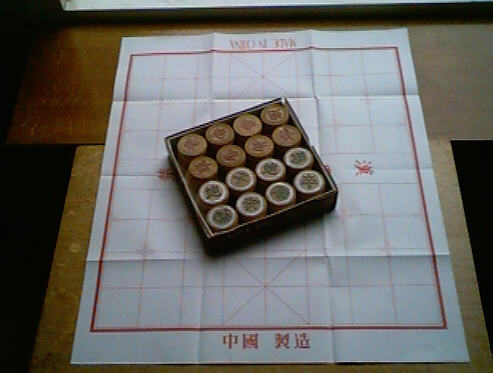 Below, you can see a number of photo's of a Xiangqi set. 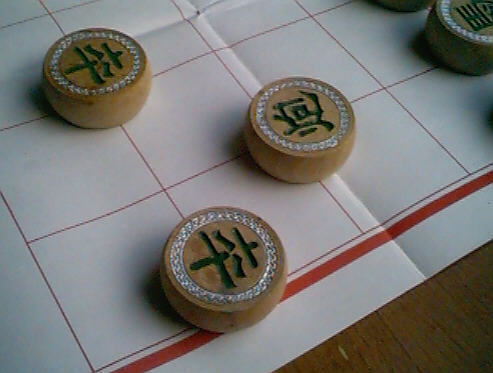 The pieces are thick wooden disks. about three centimeters in diameter. 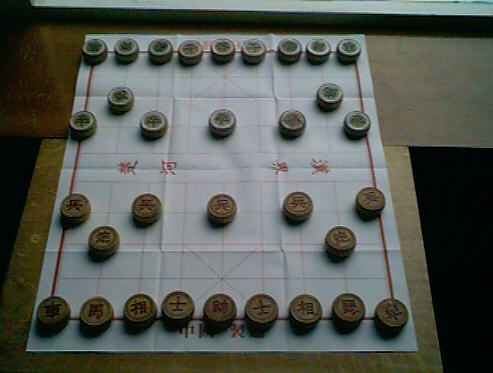 The board is made of standard paper. 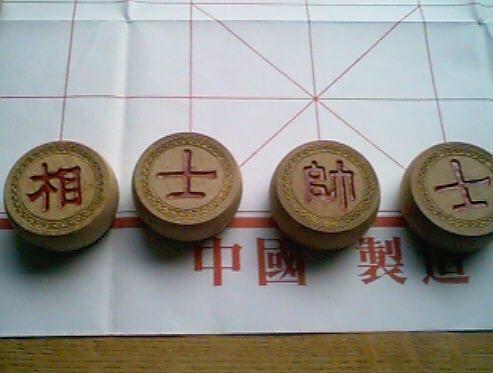 The set was made in China. 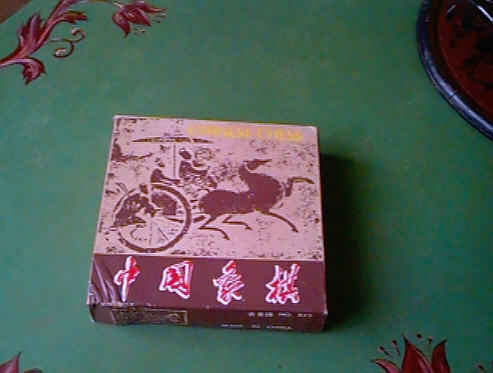 If you are lucky, you can find such sets for not much money in a Chinese food shops. 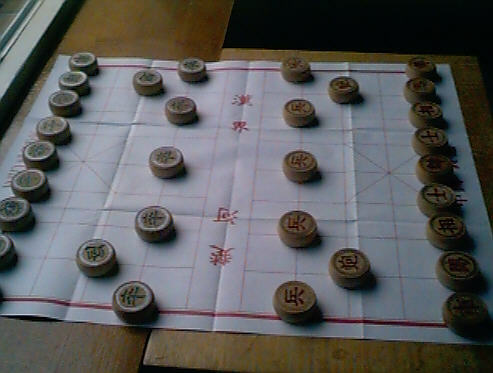 This set was displayed in a exhibition on chess in Ede, the Netherlands, january - february 2003.